We make church fun. Your kids will have a blast at our children’s worship services and activities. We provide a comprehensive program full of interesting activities and lessons for children from birth through 5th grade. And as they grow, your kids will progress through our Spiritual Pathway, which gives them opportunities to grow as Christians and to learn how to make wise choices. We provide the youngest members of your family with the love and care they need in a clean and safe nursery environment with excellent staff. 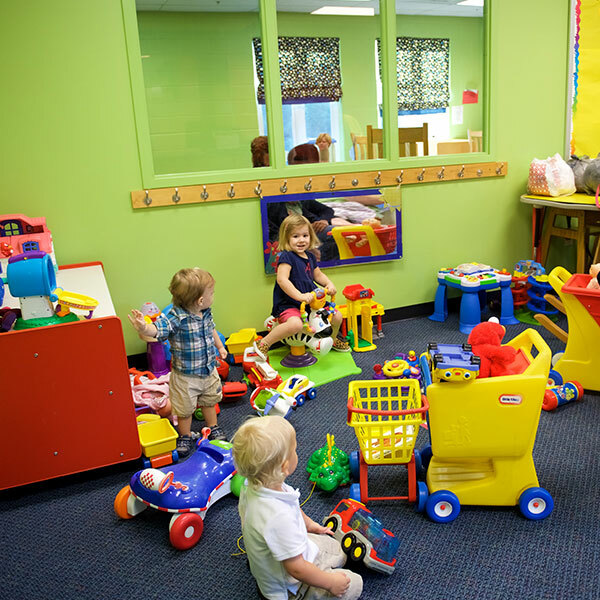 We give preschoolers a colorful, fun environment for Sunday School. Here, they participate in interactive lessons about love and kindness pulled straight from the Bible. 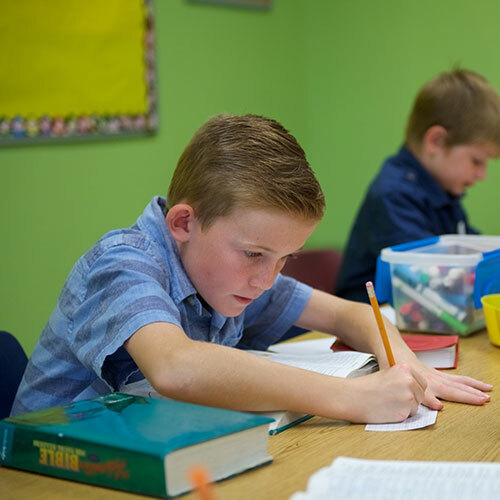 Our dynamic elementary programs help aid child development by teaching kids about moral values and Christ’s love through weekly bible teachings. We would love to see your kids every day! We welcome children ages 1 through kindergarten into our weekday classes. Our preschool and kindergarten programs offer quality education that reflects the principles of Christ's love. In our safe and nurturing classrooms, we determine how each student learns best, and we apply that knowledge to our lesson plans. We also believe children this age learn primarily through play, so our curriculum includes plenty of games to keep your little ones occupied and their minds busy. Middletown Christian Church is blessed to be the first partner church in Kentucky for Buddy Break (Nathaniel’s Hope). Buddy Break is a free respite program that allows children with special needs (VIP kids) to make new friends and enjoy all kinds of activities, while offering caregivers a break from their responsibilities. Your child’s safety is important to us. 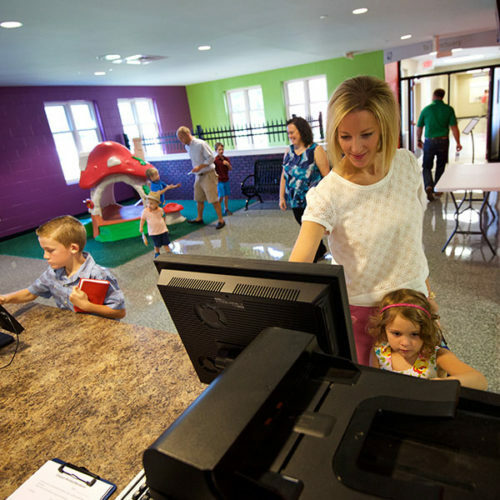 We ask that you sign each child in at one of the computer terminals in our Children’s Lobby on Sunday mornings. (First-time visitors will be asked to fill out a simple form so your children can be entered into our electronic check-in system.) A two-part sticker will be printed. Your child will wear one part of it as a name tag, and you’ll need to present the other section at pick-up time. We pay staff members to work in our nursery and toddler rooms (birth to age 2) to give our youngest children continuity and stability. All of our volunteers and staff undergo background checks. Is there a curriculum that you use on a weekly basis? Children ages 3-5 use First Look, another curriculum from the creators of 252 Basics. They learn the same stories and themes in age-appropriate ways. To learn more about what is being taught each week go to studio252.tv for so much fun and information! 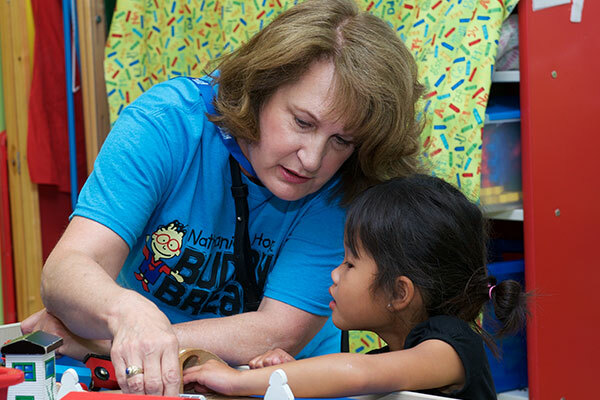 Many different volunteer positions support our children’s ministry, and you may work directly with children or work behind the scenes. Background checks are required. To volunteer on Sunday mornings, click here. A full list of serving opportunities is available here. For more information, contact Miriam Georg or call the church office at 245-9793.